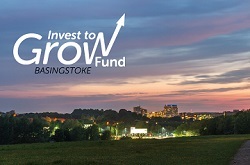 The Invest to Grow Fund will support a wide range of commercial, regeneration, property and infrastructure projects within the Basingstoke and Deane Council area by providing debt or equity finance. Its primary focus will be to support local growth, ensuring the region benefits from improved employment opportunities, enhanced infrastructure, regeneration and economic growth. All capital will then be reinvested into future growth projects. Potential project sponsors are being encouraged to contact CBRE, the investment advisor to Basingstoke and Deane Borough Council. CBRE’s role is to source, evaluate and manage investments. For further information, contact George Richards on 020 7182 2391 or by emailing george.richards@cbre.com or take a look at the Invest to Grow flyer.